Fort Collins Connexion is the new community-owned fiber network! Fort Collins Connexion will bring high-speed internet, digital phone and advanced video services to the residents and businesses of Fort Collins. The Connexion Outside Plant Team successfully installed our broadband network huts this week! These huts will be the essential core locations for our fiber optics! Check out our latest video! Full network construction is in progress and residents can expect to see City crews along with the City approved contractor, Atlantic Engineering Group (AEG), installing fiber in neighborhoods around Fort Collins. Build out to the entire city limits will take the next 36 to 48 months, with the first lit service occurring in Q3 2019. If you have questions or concerns about construction in your neighborhood, please call 970-674-7800. To stay up to speed (pun intended!) on this project REGISTER here. Once registered you can also ask questions in the Q&A tab and drop a pin on the PLACES MAP showing us where you would like City broadband service. To learn more about the history of this project visit fcgov.com/broadband. If you have questions about broadband, please ask them below! A member of the City Broadband team will post a response to your question as soon as possible. when will the city actually be ready for install of new customers? First service will be available August 2019. Again to avoid ambiguity: You stare that pricing will be competitive with Comcast and Century Link. But Comcast does not offer symmetrical gigabit to the home. You need to clarify the service level that will be provided at this competitive price. If gigabit symmetrical (1000/1000) to the home is the same price as 120/6 from Comcast, there a reason to switch. If you are offering 120/6 at the same price, there is no reason to switch. Could you clarify the service levels that will be offered? We went in to this based on the idea that we would be able to get symmetrical gigabit at a similar price to Comcast's current offerings (in the $50 - $100 range). Thank you for your interest in Fort Collins Connexion. The Connexion team is still finalizing the product catalog and will make that available to the public closer to launch time. This will include service levels, pricing, and packages. All internet speeds will be symmetrical and we will not require a contract for service. Thank you for your question. The City recognizes and appreciates your right to choose a service provider. The Fort Collins Connexion team is currently finalizing the product catalog and pricing for services. 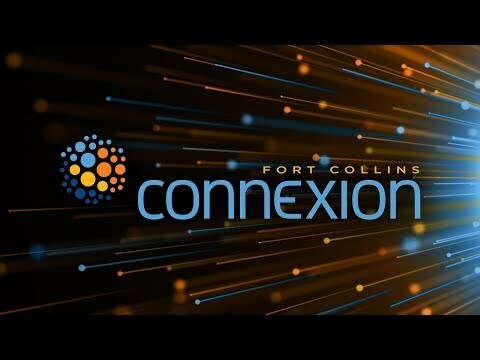 In addition to world-class customer service, Fort Collins Connexion will be offering 1 gig, symmetrical speed internet, which is about 80 times faster than 12mbps! Our state-of-the-art fiber-optic network will be built out to the entire City limits, unlike Centurylink and Comcast which are limited in their coverage and speeds. We will have competitive pricing and different speed options available to choose from for residents and businesses, along with phone and video services. Thank you for your interest in Connexion! Our network will be dual-stack IPv4/IPv6 enabled. Dynamic Host Configuration Protocol (DHCP) will be the default, but static IP addresses will be available. The standard demarcation for customer equipment will be via RJ-45 (CAT 5/6) ports off of the Optical Network Terminal (ONT). For most customers, the network will handle route propagation, however BGP will be available as a service. Dear Staff: When will Broadband be available in the Campus West area? Thank you for your time! Thank you for your question. Connexion crews and City-approved contractors are working in various locations across the city to install our fiber-optic network as quickly and efficiently as possible. While currently there is no confirmed date/time for Campus West, our first lit service is scheduled for August 2019 and we will be ramping up turning on service from there. Currently I need a router to get WiFi in my residence, will we need a router for Connexion. If so, will the city provide one or have a listing of recommended routers to purchase? With Fort Collins Collins Connexion you will have the option to use one we provide or you can use your own! What areas of Fort Collins will first have access to the new system? Will there be a progressive service activation moving from one area to another, and if so, what areas will have access at what times? The Fort Collins Connexion Team has not yet made a final determination regarding what areas of the city will have access first. Our goal will be to get the most people on the network as quickly and efficiently as possible. We will be activating neighborhoods in various locations across the city in a controlled progression to ensure we are able to meet demand while providing exceptional customer service. You answered a previous question regarding the price point of 70 dollars by saying "Our products will be competitively priced against what current incumbents are charging for both residential and business services." Please define 'incumbent' as this seems a bit ambiguous. Connexion is a public utility not a private company so pricing should be based on other public offerings not commercial competitors. You are correct that Fort Collins Connexion is a municipal utility and not a private entity. However, Connexion is not funded by taxpayer dollars--our financing is through the bonds that were issued back in June of 2018. Broadband must be priced appropriately in order to pay back the $142.2MM in bonds. Our products and services will be priced competitively against the local incumbents, Comcast and Centurylink, to ensure residents and businesses within Fort Collins have an alternative option for reliable and affordable broadband services. Similar to NextLight in Longmont, does Fort Collins Connexion intend to provide discounted prices for Charter Members? I think discounted pricing that would attract a lot of residential customers, especially who are currently under contract. While nothing has been finalized, at this time the Fort Collins Connexion team is not planning on offering Charter Memberships. Our goal is to provide upfront, easy to understand, competitive pricing for our products and services. How are you documenting your fiber network? Is this through Excel spreadsheets or through software? What software? Our fiber network is being managed through ArcFM Fiber Manager. Is there any current play to install antenna around the city to allow for Connexion customers to access high speed WiFi around town? There is no immediate plan for WiFi access at our launch in August 2019, but WiFi access is still under consideration for future implementation. The current business plan lists residential service for 1Gbps/1Gbps at $70. The nearest equivalent of a business service, 1Gbps/500Mbps, is listed at almost 10X this price - $600. What is the service offering difference here which justifies such a dramatic increase in cost for pushing the same number of bits over the same connection with the same 99.9925% uptime at the same latency? Thank you for your question. The Fort Collins Connexion team is currently finalizing the product catalog including pricing which may differ from the original business plan. Our products will be competitively priced against what current incumbents are charging for both residential and business services. Is there an update on this question? What does the connection to a home look like? For connectivity to the home, we will be installing a network interface device (NID; also known by several other names) to the outside of the property. This device (a panel or box) serves as the demarcation point between our fiber network and the customer's premises wiring. have you identified 2 backbone providers? just curious who will handle packets after they leave\arrive FC system? We are in the middle of an RFP process for those providers. We are looking at two Tier 1 providers who are geographically diverse. Once these providers have been determined we will not be disclosing them do to security purposes. Hi - do you have a cost model available to look at that includes things like how many subscribers you need to have in order to break even on the costs (as well as how much the consumer will be charged for the service)? Also interested in your projected annual operating costs as well. Understanding you will still be competing with other carriers, assuming the goal is that you will be able to deliver higher speeds at less of a cost, Comcast, CenturyLink and others are big players to compete with. Any info would be appreciated. Thanks! Thank you for contacting Fort Collins Connexion. Our business plan, which is listed publically online at fcgov.com/broadband, provides a wealth of information pertaining to the municipal broadband program. You can find the document here. Will the city broadband be extended to Laporte area? Thank you for your question. The Fort Collins Connexion network will be built out to cover all residences and businesses within the city limits of Fort Collins. My residence is just on the edge of City limits up north on Terry lake road. (Hwy 1) Will our address be part of this internet initiative? Thank you for contacting the City of Fort Collins Connexion team. If your property is considered within city limits it will be part of the broadband initiative. What is the time frame for areas in the GMA to be annexed and what other factors are considered when annexing? Every community has processes and planning tools to manage how they grow. Growth Management Areas (GMA’s) are one such tool. They are plans where a community sets its growth boundaries. They are developed with public input from citizens and coordination with nearby communities. GMA’s help a community ensure that new residents will have the services they need while also protecting the quality of life and services for those who already live there. There is no set time frame for areas in the Fort Collins GMA to be annexed. If City council receives a petition to annex a specific area, the City would embark on a community engagement strategy to seek input from property and business owners and other stakeholders. Planning for annexation could potentially take years of intense study, including fiscal and capital cost estimates. Additional factors to be considered would include timing, social impact, cost of providing police services, utilities, and storm drain management. Thank you for your inquiry. At this time the Fort Collins Connexion team is still finalizing our product catalog. However, we will have a variety of internet service levels with very competitive prices to meet our customers needs and budgets. We look forward to sharing more information as it becomes available. How will the fiber enter existing homes? Are you coming in via the sewer pipe or by other means? Thank you for your interest in Fort Collins Connexion! The fiber optic cable that is being built out throughout the City will run through existing or available electrical conduit that the City is already using for Light & Power. Once the conduit and vaults are built, the fiber is pulled through and terminated at a pedestal. This is an easy access point for crews to reach the fiber cables. When you sign up for broadband service, pre-installation work will include running fiber from the pedestal to another vault called a "flower pot", and then directly to your home using a microduct. The fiber will be connected to your home using a TAP (Terminal Access Point) Box. Once terminated at the TAP, it will be ready to be connected from inside your home during your install. I currently get internet, tv, and phone services as a bundle from a single provider. Supposedly, each service's cost individually is lower with the bundle than if bought separately. Will I be able to get all three services in a bundle with a Connexion contract? Absolutely. Fort Collins Connexion will be offering high-speed internet, video and telephone services individually as well as a bundled service. Keep in mind that for residential services, we will not require a contract! How would a person go about applying for Fort Collins Connexion? Residents interested in signing up for Fort Collins Connexion services will have the option to order online or call in and speak with a customer service representative directly. Without holding to a specific timeline, is it possible to get a road map (pun intended) of the roll out. It sould be nice to know the order in which backbones will be laid and connected. I am SURE you have a project roll out map. Please share. Thank you for contacting us about the Fort Collins Connexion Broadband roll out. To give you a quick update--construction began on Nov 15 with Connexion crews, in partnership with City Light & Power and our third party contractor, AEG, working on the initial fiber pull for our core ring. The ring is essentially the backbone of our network and we will be building out from there. We will begin the full network construction in January 2019 and will be building out in a rolling fashion across the city—so different areas will be built out at the same time. Unfortunately at this time we are not able to provide more details, but rest assured we are still on target for our first lit service to be in Q3 2019. I haven't heard any updated on broadband progress since last spring. Can you give us an update of the progress? I fully support the broadband initiative and am excited about signing up. But considering we voted to borrow a lot of money to fund this utility, I think we are owed an update at least monthly. The Fort Collins Connexion team has been working extremely hard on the strategy, design, planning and development of our new state-of-the-art fiber network. While we would love to provide monthly updates, our goal is to provide timely, relevant information as details become available. We appreciate your interest and thank you for your support. Considering how expensive this project is I wish the city would provide more updates on the progress of the project. Maybe a weekly or biweekly newsletter? It seems like we go months without hearing anything. Thank you for contacting us about updates. The Fort Collins Connexion team has been hard at work with the planning, design and development of our new fiber network. We have set out press releases announcing the hiring of the core team, as we all the partnership with Open International, who will be handling our new Utilities & Broadband Customer Information System (CIS/OSS). Additionally, we provided an update to City Council back in August in a work session which you can access here. We will be actively providing more timely updates as details become available. Thanks for your interest in our broadband project. At this time Connexion, the City’s broadband team, is not hiring. However, please keep an eye on this page - https://www.fcgov.com/jobs/ - for future job opportunities as our broadband team grows. I haven't see a coverage map. In particular, I'm looking for how far out will the coverage beon Bingham Hill Road. Under the current business plan broadband would extend throughout the current City limits and will extend into the GMA when those areas are annexed. Current capital spending estimates are for the City limits only. i would like to purchase some bonds. Do I need to set up an account with one of the securities companies mentioned in the Coloradoan article (Bank of American Merrill Lynch, Royal Bank of Canada or Stifel) or If I need one, can I use an investment company I already use? I live over here a Red Tails Pond, right by the South Transit Center? Well I have been wondering for some time? Well it be offered here for all of us to use? And how? Would the city be contacting Housing Cataylist? While Red Tail Ponds is in our Growth Management Area (GMA) and is slated to get service, at this time the details of how it will be provided are still in the works. As we begin build out of the network more of those details will be available. where can I buy the municipal bonds for the cities broadband project? Why dont you allow a different color pin for people to show where they will definitely NOT be using this service. I own part of a 120 unit apartment and we have a contract with Comcast and will not ever use city broadband. The City appreciates and recognizes your right to choose a service provider. The intent of this map is to allow people who may be interested to express that interest. How can I purchase bonds when they become available? The City is currently in the process of contracting with underwriters who will be responsible for marketing and selling the bonds through their retail and institutional channels. Exactly how this will occur will be determined after we formalize a contract. As we contract with an underwriter, more specifics on how the bonds will become available to the public will be determined. The City did note an interest in evaluating the ability to do a small portion of the bond offering in non-traditional denominations, sometimes called Mini Bonds that could be available to local and regional citizens who wish to support the community and this effort. How these type bonds are marketed and made available to the local public will be determined in late February. I live here at Red Tails Pond apartments over here by the South Transit Center? How would this work for that place? Would it be installed for all of us to use? Well the city be talking to Housing Cataylist to offer it? Like other internet providers, the City will have marketing and sign-up information widely available. The decision-maker at Redtail Ponds or Housing Catalyst would be able to select the City as a provider if they chose. The City of Fort Collins is committed to the principles of Net Neutrality. The City Broadband Plan does not call for any restrictions on access including uploads, downloads, delivery methods or providers (email, Skype, Netflix, etc.) For more detail on Net Neutrality see page 48 of the Broadband Business Plan. Net Neutrality, or Open Internet, means there are no restrictions of any kind on access to content on the Web, no limit on downloads and uploads, or no restrictions on delivery methods or providers. The key principle is that access to the internet is not blocked, slowed down, or sped up depending on who or where that access occurs. In essence, Net Neutrality means the internet is open to everyone. Council will be developing policies around net neutrality and privacy, as the project develops. As a current Utility provider, the City takes privacy very seriously and this commitment would be practiced with broadband. Private, or personal information, includes names, addresses, phone number, emails as well as browsing and internet history and usage, email and phone records, and other generated electronic data. The City will not collect any of this information beyond what is required to provide service. Is there anything that we, the citizens of Fort Collins, can do to help speed up planning, implementation, or build out of this system? I.e. if we collected a "critical mass" of subscribers in a particular neighborhood, or put up a certain amount of earnest money, could we get ourselves on a priority list to be early adopters or higher on the built out list? I am so fed up with my incumbent provider (rhymes with "Rinky Dink") - this can't come soon enough. Thanks! Thank you for your support of this project! To date, the City has not considered “expression of interest” campaigns for the implementation and rollout of the fiber network. The City will work to complete the system in the most efficient way possible utilizing existing fiber, leveraging installation opportunities and ensuring city-wide coverage. Full build-out of the network to the entire city is expected to take 3-4 years, we recommend taking this into consideration when signing current or future contracts. How will the map pins be used going forward? Is it a preliminary Expression of Interest (EoI)? The map is not intended to be a formal expression of interest and will not be used to determine roll out. It is intended to keep the community engaged as we start this process. First off thank you so much for implementing this project; this is exciting and shows how forward thinking Fort Collins is. I am proud to live her. We live within the growth management area but outside of city limits. Do you have a specific plan for rollout? Will GMA residents receive this service first or last, or somewhere in between? Thanks for following our project. Our plan calls for building and implementing high-speed next-generation broadband to the entire growth management area (GMA) throughout the next 3 to 4 years as land is annexed. The exact timing of where the roll out will take place has not been decided at this time. How can I join your team? I’ve always wanted to be part of an ISP or broadband rollout. Are there job listings anywhere or someone I would contact? We are currently hiring for key positions related to broadband. For more information, and to apply, you can visit our jobs page. Will all utility customers have to pay for the broadband service even if we don't individually use it? By "pay," I mean either through direct billing or through indirect related costs, such as paying back the bonds that are funding this project? The broadband utility will operate just like the other municipal utility. It will generate adequate, but not excessive, revenues to meet the anticipated costs of its construction and operation without relying on the other municipal utilities or the City’s General Fund. To begin, revenues will come through issuance of bonds As customers are added, all revenues will come from broadband customers. These revenues will meet the ongoing operational and capital needs of the broadband utility as well as provide adequate funds to meet the debt service of the issued bonds. Are "Unincorporated" parts of the city included in the Growth Management Area (specifically Countryside Park--Timberline/Mulberry/Summitview)? Thank you for your time. Countryside Drive, S. Timberline Road, E. Mulberry Street and Summitview are included in the City’s Growth Management Area (GMA), which is included as part of the broadband buildout once the land is annexed. Is the Eagle Ranch Estates area included in the GMA? Thank you in advance. It appears, in looking at the map, that Eagle Ranch is not included in the Fort Collins GMA. Thank you for your interest in our project. so how do I activate the pinpoint function of the interactive map? To use a pin function on the Places Map click and drag a "My Home" or "My Work" pin from the box on the left side of the screen to where you want to see fiber on the map. Will Terry Lake have service? The Broadband Plan calls for service throughout the growth management area. Terry Lake is currently outside the City limits but it is within the growth management area. Full build out of a fiber system is estimated to take 4-5 years. I'm so confused about all the different types of technology coming on board. I assume that if we sign up for the city's broadband service that a dedicated fiber optic cable will be run to our house just as is currently done with existing providers. Will the city's broadband interact with wireless 5G in any way? Or is that a totally different technology? And will I be able to keep my landline? We recognize there’s a lot of technology available to consumers today and a variety of ways to access the internet. The City’s broadband plan calls for dedicated fiber-optic cables to each premise that signs up for service. Fiber is different from 5G, or fifth-generation mobile networks, in that fiber uses cables to connect to the internet. 5G is a type of wireless service used to assess the internet. 5G antennas will require fiber optic support at the antenna. It is our understanding the technical standards for 5G will not be established until roughly 2020 and the service will not be available until mid-2020’s. The City will continue to evaluate new technology as it becomes available and options for voice or video. What does the connection to a home look like? Will a fiber optic cable enter the home and then connect to a fiber optic modem to provide the broadband connection? Would the customer supply the fiber optic modem and be responsible for its operation and maintenance? The FMC-1000S-SM10 Gigabit Ethernet 1000Base-LX singlemode fiber media converter which lists at $77 would be an example of such a modem. Design and hookups for the project have not been determined yet. The request for proposal (RFP) for network design is going on now. The process will fit with the general aesthetics and follow industry standards. Will FTC Broadband be available outside the city limits, in particular, along Hollywood and Sunset North and South of La Porte street? Hollywood and Sunset North and South of Laporte Avenue are included in the City’s Growth Management Area (GMA), which is included as part of the broadband buildout once the land is annexed.